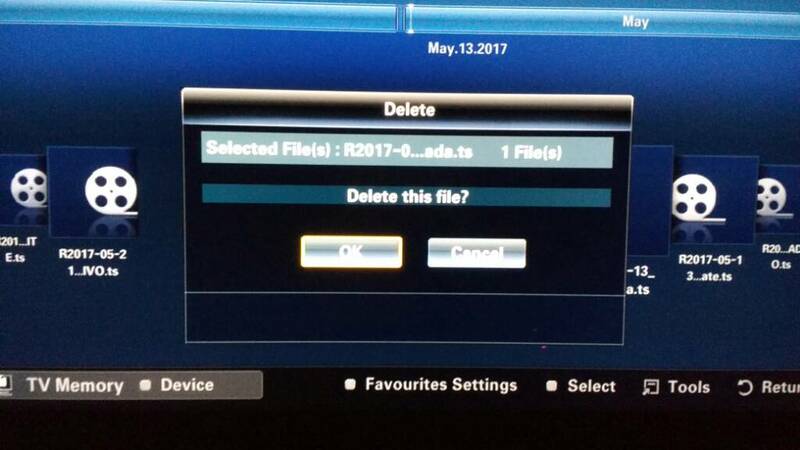 Let's check what's new in PVR+ 4.4. All existing video filters and postprocessing modules are compatible, so SDK's generally are up to date and can be used for creating new filters and modules. 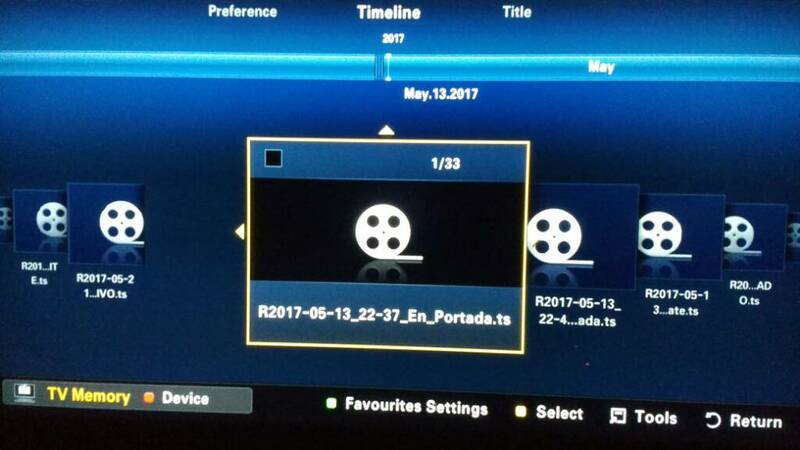 For all who wanted to record on NFS shares: finally it is now possible with this version of PVR+. Feel free to post your comments, ideas, fixes, addons etc. Your feedback is highly appreciated. Thanks! I have already updated it to the last version. I don't have a nfs shared folder to test the new working feature, though. I am currently using samba shares. They work perfectly fine for sd tv recording. However, it does not work that well with hd channels. Those get pixelated from time to time. It has something to do with cifs and cpu usage through wifi while recording. If I stop recording, it goes back to normal. Would I get better performance if I record on a nfs share? I have deteted a minor bug. If I change the energy saving setting in media player mode and, BEFORE the message has disappeared, I press the pause button, the image freezes but the video is still playing and the tv finally restarts. Finally, I would like to ask if it would feasible to build block bezel buttons app into PVR+ and turn it on and off through the PVR+ menu. I have little kids and I am using the standalone app but enabling it through the Play button is not that convenient. Thank you very much for your your app!!! 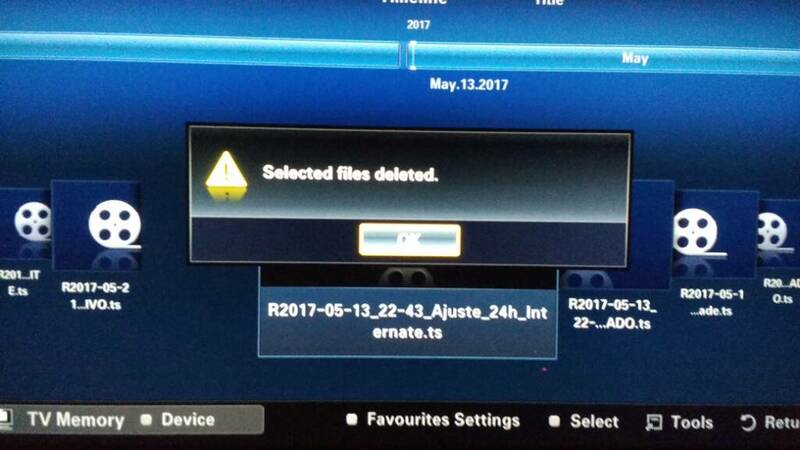 Thank you very much for testing PVR+ 4.4 and thank you for you comments. Now I'd like to inform you I am working on PVR+ update. I think the issue may be related to a weak signal and reception errors. I've noticed that while there are many errors (i.e over 0% as you can see in EXTRA MENU page 1) there is a little bigger CPU load while recording. I am not sure why - maybe because of any kind of software-driven correction - I don't know. It might be also related to WiFi interferences. I am using LAN ethernet cable connection and I recommend using this instead of WiFi because nowadays it is much more stable (there are many WiFi noise sources around us). Note that external USB-HDD connected to the TV also can produce interferencing waves. The problem is caused by the function that detects TV mode. 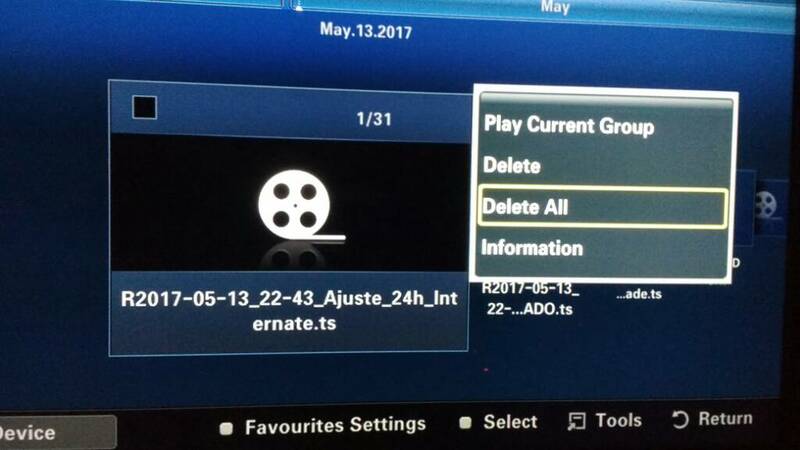 It changes from "MediaPlay" to "bare TV" while changing energy saving mode during playing a movie in MediaPlay so PVR+ don't know it is in MediaPlay at the time you're pressing PAUSE button so wrong pausing function is used. Anyways, this bug will be fixed in PVR+ 4.5. Actually, it is fixed now and I am testing it. Done. You'll see it in PVR+ 4.5. Thank you very much Geo650 for BBB!!! 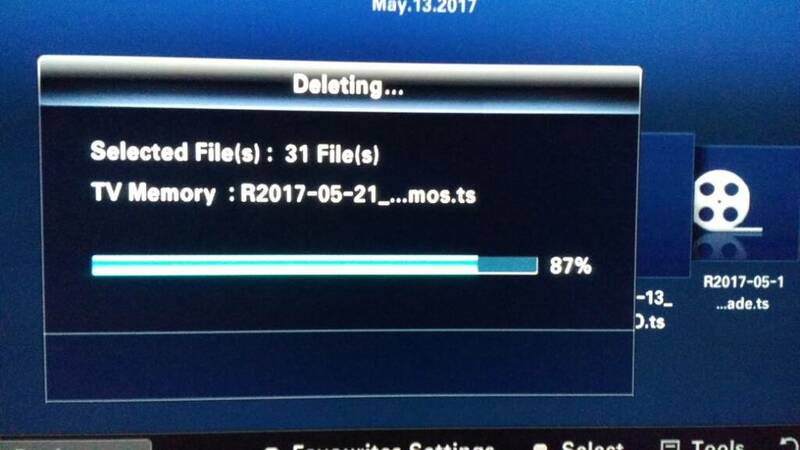 I just got and idea.This is actually my B651 deleting some recordings stored on my NAS just by using the media player menu. 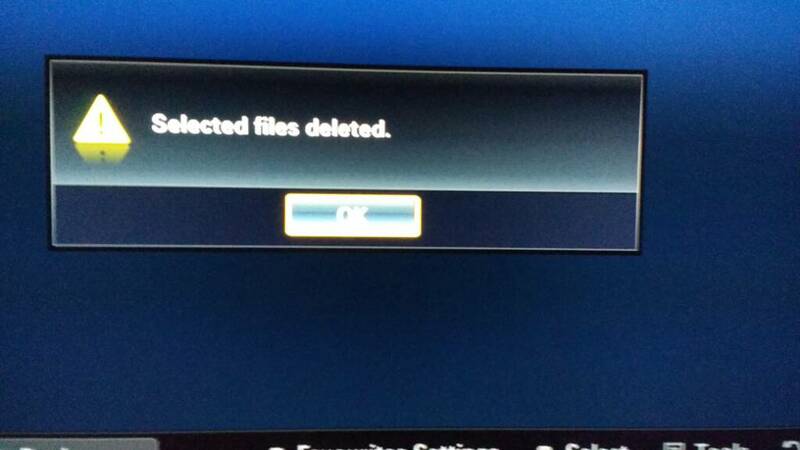 Would be possible to trace the function exedsp uses to delete files in media player mode and assing it to a button?